Highbury Fields School and Brecknock Primary School have come together, to work on The Livery WW1 Commemoration project Echoes Across the Century. The project is in collaboration with The Worshipful Company of Bakers and the Worshipful Company of Cooks. Students met Alison Truphet from the Livery Company setting the scene and aims of the projects, as well as, the history and present influence of the Company in the catering trades. As part of the introduction to the project, students visited the HAC (Honourable Artillery Company) at Armoury House, City Road where they set up a Field Kitchen with tents and stoves, watched a demonstration from Sara Autton (Master Baker) on how the War Loaf was produced. Students were then assigned roles and jobs within the unit. Tasks included making refreshments and preparation of lunch for the whole group. The project will culminate in an exhibition at the Guildhall Art Gallery which will be open from Friday 31st March to Sunday 16th July inclusive. Livery Companies and schools are invited to arrange special guided tours and enquire about the workshops and special events which will be held in the Gallery. This unique and exciting art project is fully funded by the Heritage Lottery Fund. Our Livery WW1 commemoration project will engage students in the heritage of the trades and industries working behind the scenes during 1914-18. 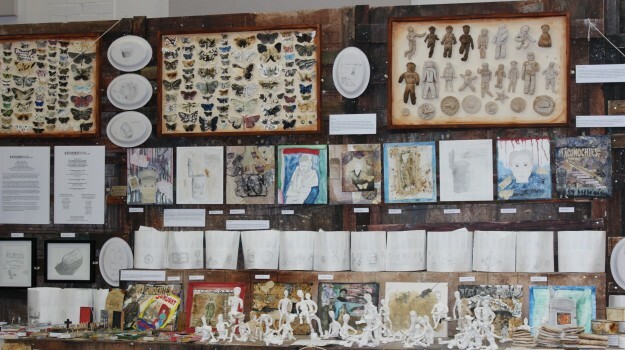 Students will explore the stories around heritage objects linked to the Worshipful Company of Bakers and Cooks to reveal their interpretation of the human response to the war though art work in workshops led by inspirational heritage artist Jane Churchill.